Looking to try something different for dinner tonight? Then consider giving this wrap recipe a try—it's fun and simple to make and the ingredients are very basic. This recipe makes for about six servings, and you can have everything made and ready in under a half an hour. We suggest making these wraps for a casual family dinner, but this dish is also a fun one to consider making for a barbecue or a low-key get-together. 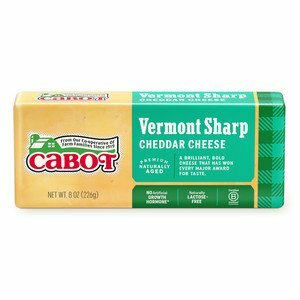 After trying this recipe, please feel free to rate and review it. Also, share this dish with your friends and family on Facebook or Pinterest so they can try it for themselves too. As far as ground beef recipes go, this is one of the easier ones to make. 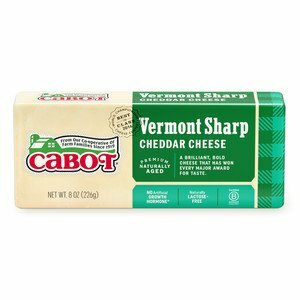 The recipe calls for one tablespoon of olive oil, ½ teaspoon of ground cumin, ½ cup of tomato salsa, one can of kidney beans, ¾ pound of beef, chili powder, flour tortillas, eight ounces of Cabot Mild Cheddar or Cabot Sharp Cheddar, one large avocado, salt and Cabot Sour Cream. This recipe only takes roughly 15 to 20 minutes to cook up, as all that's needed to do is to cook the beef, toss in the beans and salsa, and then wrap up the entire mixture in a tortilla. It's a great recipe to try out for lunch or dinner! 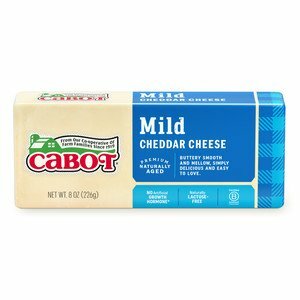 Cabot is a cooperative of over 1,000 family farms, and we've been making award-winning dairy products for years. 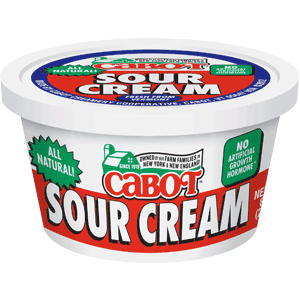 We understand just how important it is to serve only the best to your family and friends, which is why we use only the best ingredients in our cheeses, milk products and sour creams. 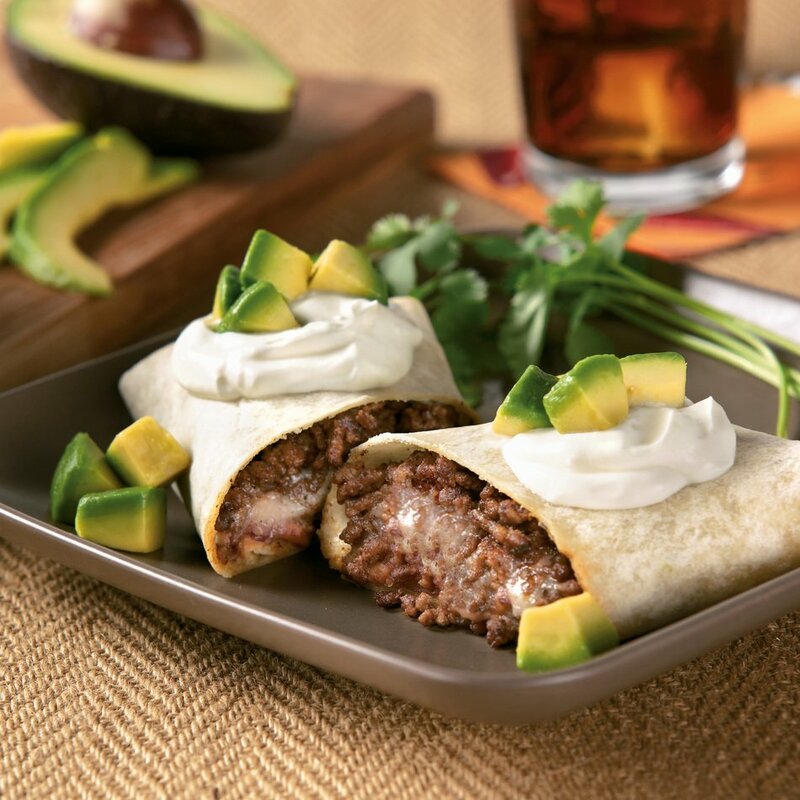 We're confident that you and your family are going to love this wrap recipe, but we'd love to hear your feedback. Please feel free to rate and review this dish after you've tried, and go on and share your thoughts on social media too. HEAT oil in a medium skillet over medium-high heat. Add cumin and stir until lightly toasted and fragrant, about 10 seconds. STIR in salsa carefully (it may spatter), then stir in beans. Cook mixture, mashing beans constantly with back of wooden spoon, until thick and creamy, about 5 minutes. Remove from heat and season with additional salt if needed. COMBINE ground beef and chili powder in a small bowl; season with salt to taste. Spoon one-sixth of bean mixture down center of first tortilla. Top with one-sixth of ground beef, then cheese. Fold in ends and roll up. Repeat with remaining tortillas. SET burritos on plate and microwave on high until cheese is melted, about 3 minutes. Serve topped with avocado and sour cream.